Yeah, it has a name like that and I totally did not make that up. The eight referred here are the scientists who worked at a pioneering semiconductor firm in the late 1950’s, Shocklet Semiconductor. 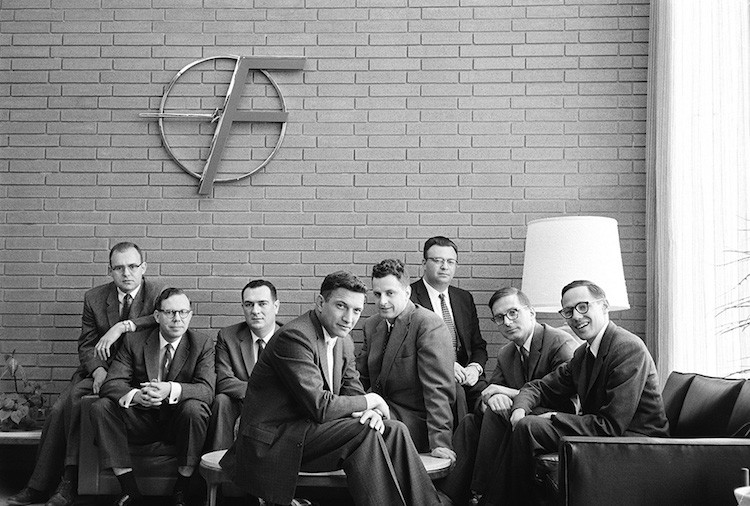 They were, from left to right in the photo below, from Forbes, Gordon Moore, C. Sheldon Roberts, Eugene Kleiner, Robert Noyce, Victor Grinich, Julius Blank, Jean Hoerni and Jay Last. The “F” symbol you see is where they landed after resigning: Fairchild Semiconductor. Their resignation from Shockley was a culmination of many mini rebellions against their founder, William Shockley’s petulant behaviour. Shockley wasn’t new to complains against him; he had himself resigned from Bell Labs after the same problem there led to his peers being promoted over him despite his natural brilliance. And to be fair, he was a pioneer. Shockley was the first to predict that silicon would eventually replace germanium as the preferred material for semiconductors due its lower cost. Not only this, he also envisioned, perhaps not first but as one of the first, that instead of the three layers of the basic transistors of that era, a “diode” would have four layers, allowing them to generate “on” and “off” modes. This was perhaps the most revolutionary idea in the development of semiconductors since it heralded the use of logic gates that increased speed and efficiency exponentially. But his bane was his brash behaviour, as is often seen with brilliant people, and eight of his best employees left and formed the basis of a new company with Sherman Fairchild called, unsurprisingly, Fairchild Semiconductor. With the space race heating up, the “Traitorous Eight” as Shockley called them, had made the right decision to leave Shockley but if you think Fairchild Semiconductor was the ultimate winner, remember that you probably don’t even know who they are now. The eight scientists eventually joined other companies or founded their own, and created innovations that make modern computing what it is today. You can hear more about it on Tim’s podcast with Eric Schmidt. Robert Noyce and Gordon Moore founded NM Electronics and you may very, very well know them today by their much cooler name, Intel. Jerry Sanders, not part of the eight but of Fairchild Semiconductor had similar frustrations and founded AMD, Intel’s archrival. Moore is also the name behind the famous predictor of microchip performance and economics, “Moore’s Law”. Noyce predicted that the low cost of silicon diodes would mean people would just use and throw appliances instead of repairing them. The series of moments of employees thinking they could do a better job than their management, resigning and starting their own companies starting from Shockley’s departure from Bell Labs, the “traitorous eight’s” from Shockley Semiconductor and finally their departure, along with others, from Fairchild Semiconductor set off a chain reaction of inspired movements and decisions. And these, in turn, created not tens but hundreds of companies and innovations throughout the 60’s, 70’s and beyond and enabled the personal computing industry, with Apple, IBM and Microsoft, to change the way we live and work. 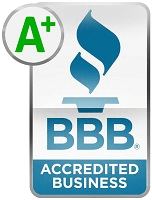 Moral of the story: silicon diodes are the right answer and also, treat your employees right.